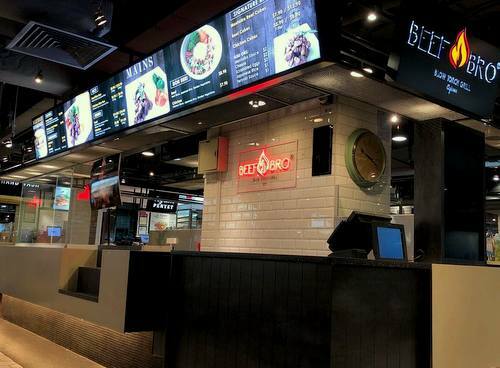 Beef Bro has two concept restaurants in Singapore, one at Century Square (2 Tampines Central 5) and another within Clifford Centre (24 Raffles Place). Established in August 2018 and operating as a take-away diner, Beef Bro is known as the creator of Singapore Mentaiko Beef Cubes, prepared using blow torch grilling methods. The signature items on the menu are the hot, juicy, tender Beef Cubes, grilled to perfection and finished off with a touch of the blow torch. In addition to the delicious Beef Cubes, the restaurant also has a selection of seafood & poultry dishes, available on Bento Boxes packed with piping hot Japanese rice, sides, and a choice of add-ons. The official Beef Bro Singapore Facebook page is located at www.facebook.com/BBROSG/. You can also follow Beef Bro SG Instagram account, which in turn is available at www.instagram.com/beefbro_sg/.